For quite a few years, rhtyhm games, like the Project Diva series, have been pretty popular and the Switch has its own share of official titles. However, none of these are as expandable as osu! 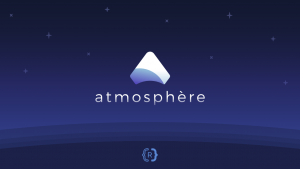 so now, the homebrew community stepped in to rectify that along with releasing an update to Atmosphere. McOsu is an unofficial client osu! 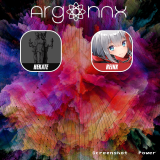 supporting regular beatmaps that comes with extra features for gameplay customisation and to make practicing gameplay easier. McKay states that that McOsu NX must be run through NSP HBL or HBL takeover in order to work properly as it needs around 1GB RAM allocated to it. 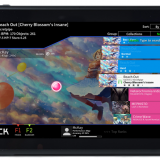 McOsu NX also comes with 9 built-in songs, including Renatus and Tear Rain, so you’ve got something to muck about with if you never played osu! 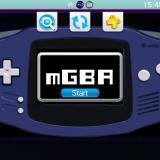 To grab McOsu NX, check out this link and download the provided ZIP file. Then, copy the ZIP file’s content to your SD Card and place the songs you want in “switch\McOsu\Songs\”. If you encounter any issues, report them to the Issues Tab of the in-line GitHub link. 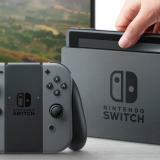 Atmosphere is still being updated so that it’s made better so you should think about updating especially if you encounter the downgraded NAND sleep issue thanks to Nintendo’s fuse burning system. Customisation of system settings is now supported through an added extension to “set.mitm”. To get the latest version of Atmosphere, simply follow this link and download the fusee loader BIN file and Atmosphere ZIP file. As more time goes on, the Switch scene gets more interesting and hacking it becomes a more appealing option. However, getting bans on the Nintendo’s online service is still a possibility so think twice about whether online functionality or playing some OSU songs is more important to you! On the other hand, if you don’t want to or can’t hack your Switch, you can always inject your own osu! beatmaps into IA/VT on a hacked PSVita to get access to playing osu! on the go! You forgot to mention that Atmosphère 0.8.3 now supports rebooting from CFW into CFW (from Atmosphère 0.8.3 into another payload), without requiring a dongle or another injector (e.g. a PC connection via USB). While the initial boot of the CFW requires an injection, rebooting into the same or another one does not. is that stable at the moment? I think is still on early steps, and would crash time to time. damn i love this game, the switch is getting everything i wanted for the vita like warframe and now a port of osu…but apparently it requires at least 1gb of ram, which the vita has only half of. 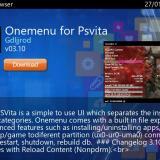 It’s good to have options likes atmosphere and Reinx without having to pay for cfw like sx os.